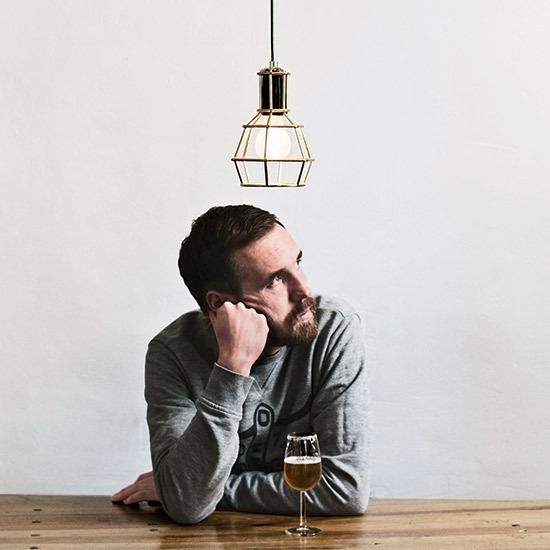 Mikkel Borg Bjergsø of Mikkeller creates extreme beers at dozens of top breweries from Copenhagen to Indiana. Here, he talks about the latest brewing trends and his preference for drinking beer from a wineglass or straight from the bottle. Q. So what is it you do exactly? Are you a brewer? A. If people ask me if I’m a brewer, I guess I’m not. I just design beers and create ideas and collaborate with brewers. I think brewing’s boring. For me, it’s like working in a factory. Q. It seems like brewers have been stuck on India pale ales [a super-hoppy style] for the past 10 years. What’s next? A. I make 20 different single-hop IPAs every year; I’m a big IPA lover. But there are new trends. One is funky farmhouse-style beers—spontaneous fermentations done with wild yeasts and aged in barrels. The other trend is beers called session IPAs. They are very hoppy, but they only have maybe 4 percent alcohol, which is much less than the usual IPA. We’ve not made a session IPA yet, but we will. Q. But you do make an insane beer that is 26 percent alcohol. A. It’s called Black Fist. When we brew it, it’s about 18 percent alcohol, and then we transfer it to new bourbon barrels 10 times. It picks up a lot of alcohol. It’s better than you would think at 26 percent, but I only drink it occasionally. Q. It’s ironic: I’ve found that a lot of brewers, even those making high-octane brews, mostly drink crisp, light beers in their free time. A. I mean, I’ve had my share of strong, dark imperial stouts, but I don’t want to drink them every day. To me, it’s more interesting to have a low-alcohol beer that tastes really good, because I know it’s a lot harder to make. Q. You often collaborate with chefs. Do you find that a lot of them shy away from really intense beers? A. They tend to play it safe and want light beers that won’t overpower the food, which is a little sad, but I understand it. As long as the beer is really well made, I don’t think it’s a problem. When we collaborated on a beer with Danny Bowien at Mission Chinese Food in San Francisco, he wanted a pilsner [a light style of beer], but one with Sichuan peppercorns. It’s still a really easy, drinkable, low-alcohol pilsner, but it has a lot of great flavor. Q. Have you ever made a beer that totally flopped? A. We once made a beer that we called Kidz Beer because it wasn’t fermented. It was more like a soda with hops and malts. People didn’t like it, and the truth is, I didn’t like it either. Q. Did kids like it? Q. What kind of glasses do you like to use for beer? A. I mostly drink out of bottles at home, actually. But for high-alcohol beers, I use wineglasses. I think they are better than beer glasses for bringing out flavors; they’re just better quality. Q. How do you know if you’re in a good beer bar or a bad beer bar? A. I can always tell by whether the draft line is clean or not. It’s easiest to tell if you order a beer you know and it doesn’t taste right. That can either be because it’s old or the line is not clean, which unfortunately is very common. Q. How important is serving temperature? A. I hear a lot of, “Oh, this bar served me a beer that was way too cold, and I couldn’t taste anything.” It’s better to serve beer too cold than too warm. People can just wait for the beer to warm up in the glass. Q. You have seven beer bars around the world. I know that cocktails also play a role at your newest place in Copenhagen. Is that a big interest of yours? A. It’s becoming one. I think cocktails are as fascinating as beer. I like some of the more classic drinks, especially ones that pretty much match my taste in beer—fresh, sour. A whiskey sour is probably my favorite cocktail.